Food trucks are still a relatively new industry and while some cities have laws in place, others are still a long way from regulating the business. This is why food truck legalities will vary from city to city, state to state, and every place in between. Just because there aren’t regulations in your city yet doesn’t mean there won’t be in a year. Look at restrictions in other cities and try to anticipate the trends. New York and L.A., both booming food truck cities, are going to have a lot of laws in place and might require that you get on a waiting list. Smaller cities like Nashville and New Orleans may still be developing their regulations. Look into state and county laws as well, as they might present another set of hoops to jump through. First, you’re going to need food truck permits and licenses. These might include a business license, food serving permits, and possibly a specialized driver’s license. Check with your Chamber of Commerce for the food truck permits required in your area, how to apply, and how much each application will run you. Stay organized and keep all of this information on a checklist so that nothing falls through the cracks. All told, food truck permits and licenses should cost you around $700. Contact your local department of health to get up-to-date requirements for food truck health and safety codes. Do this before you start retrofitting your truck. Does your city require sprinklers or a specific kind of refrigeration? What about food preparation surfaces and water supply? Check with your fire marshal about safely cooking food on your truck. If you start out organized and thorough, you’ll breeze through your health and safety inspections later on. Look into insuring yourself against theft, injury, and accidents. Many insurance companies offer food truck insurance plans that will cover it all. Plans run from about $2,000 to $4,000 per year, so factor this into your food truck start up costs. You may also need certified health department issued insurance to ensure that you’re protected in the future. Consult a lawyer specializing in small businesses to help you navigate through this important stuff. Don’t forget to research laws for food truck parking permits and your area’s zoning restrictions. Some places restrict food trucks from parking too close to a brick and mortar restaurant or prohibit parking on public property all together. Learning food truck parking restrictions front to back will save you from risking your permit later. The good news is that you only have to do this all once. 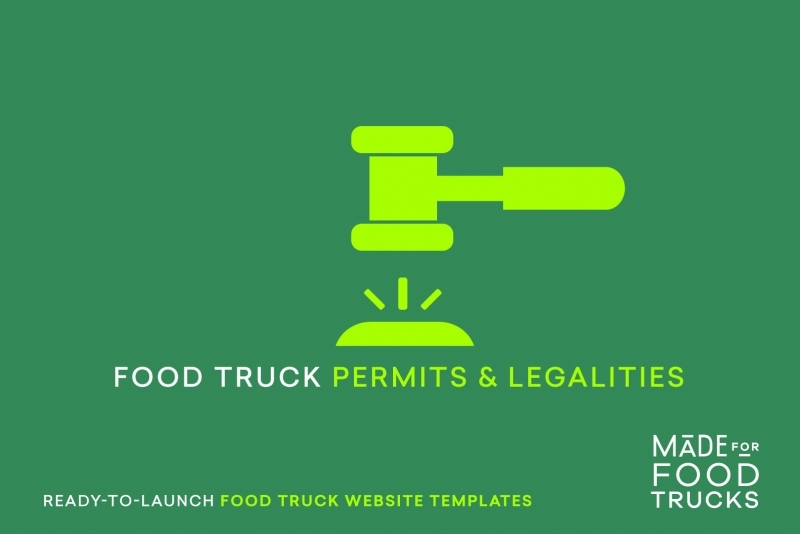 While you will certainly need to renew permits and licenses on a regular basis, as well as keep on top of regulation changes, the majority of food truck legalities are taken care of up front. And don’t forget that you have an invaluable resource in your local food truck community. Reach out for help if you get stuck. Don’t be deterred by the red tape. Food truckers have come before you and more will follow. Do your research and stay informed. The rest will fall into place.